4k00:08Close up of the cheerful young pretty and happy Caucasian hipster girls sitting in the trolleys, laughing and being carried by their boyfriends in the parking space indoor. 4k00:13HELSINKI, FINLAND - JULY 01, 2017: Half-naked cowboys. Thousands of people in solidarity during a Gay pride parade on the streets of Helsinki. 4k00:28A band dressed as Mexicans dances during transfer of powers of Aguilas Carnival with costumes and feathers. A party with international tourist interest. Aguilas, Spain February 18th, 2017.
hd00:26INDONESIA - CIRCA 2011 - Woman selling fish in a market circa 2011 in Indonesia. hd00:20Mexican musician mariachi in traditional costume with sombrero plays guitar. 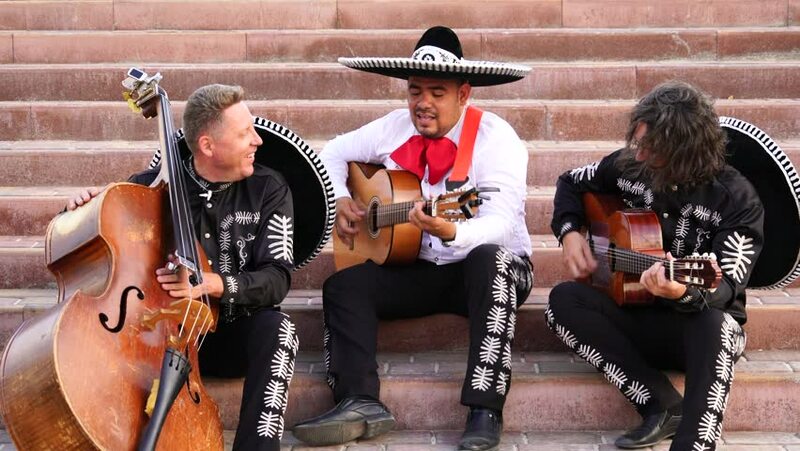 4k00:23Mexican musicians mariachi play guitar outdoor. Musicians in traditional Mexican costumes and big hats at sunset. 4k00:12Musicians in traditional Mexican costumes and big hats at sunset. City street.